The editors of the Rowman & Littlefield Sports Icons and Issues in Popular Culture Series are currently accepting proposals for volumes focused on sports stars and how they reflect and influence not only their sport, but also broader popular culture. In an age when these sporting icons cross over into everyday lives and popular culture, the time is ripe for assessing, reassessing, and refocusing our gaze on the centrality of these athletes in our the contemporary world. 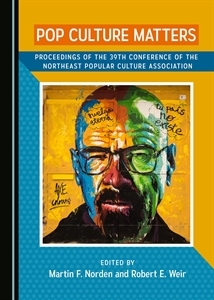 Rowman & Littlefield Sports Icons and Issues in Popular Culture Series will include single-author, co-author, and edited volumes that address the concerns listed above. The Series editors also hope to receive proposals that add to our current understanding of past and current sports icons as well as rising stars in the sporting world. This new series intends to demonstrate how these sports icons not only reflect and influence fandom issues but also broader audiences in terms of lifestyle such as fashion and music. The audience for this series is smart, general interest readers, so strong writing and research is preferred to academic jargon. Volumes in the series will typically run between 80,000 – 110,000 words, exclusive of notes, bibliography, and index. Authors and editors are responsible for negotiating and securing their own permissions for use of images, illustrations, and other copyrighted material. Inquiries and proposals should be directed to both Series editors, Norma Jones at njones39@kent.edu and Bob Batchelor at cultpopculture@gmail.com, or to Rowman & Littlefield’s Associate Editor in Sports, Arts & Literature: Christen Karniski at ckarniski@rowman.com.